Looking at vintage ads from the 50s and 60s this week. 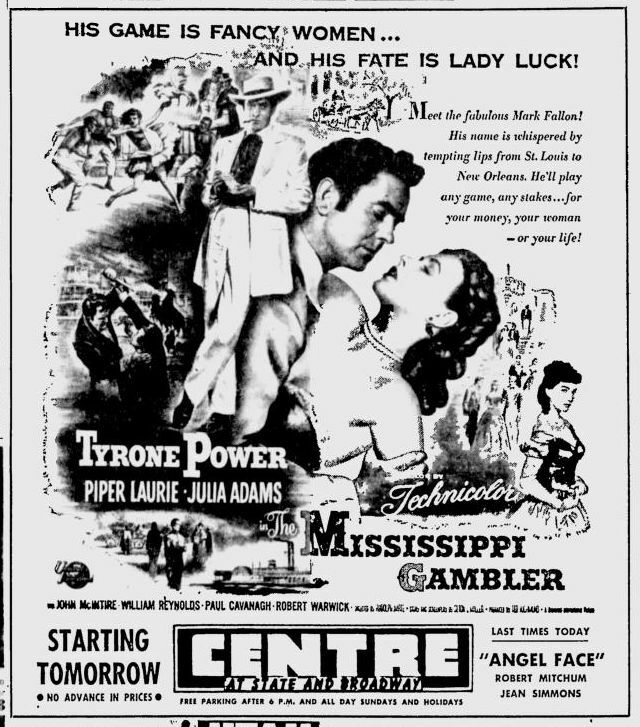 Here's an ad for Mississipi Gambler starring Tyrone Power and Piper Laurie. I love the tag line, "His game is fancy women...and his fate is lady luck!" What the hell does that mean?